See what the University of Canterbury student experience looked like from 1873-1910. See what the University of Canterbury student experience looked like from 1911 to 1940. See what the University of Canterbury student experience looked like from 1941-1970. See what the University of Canterbury student experience looked like from 1971-1999. See what the University of Canterbury student experience looked like from 2000-2015. 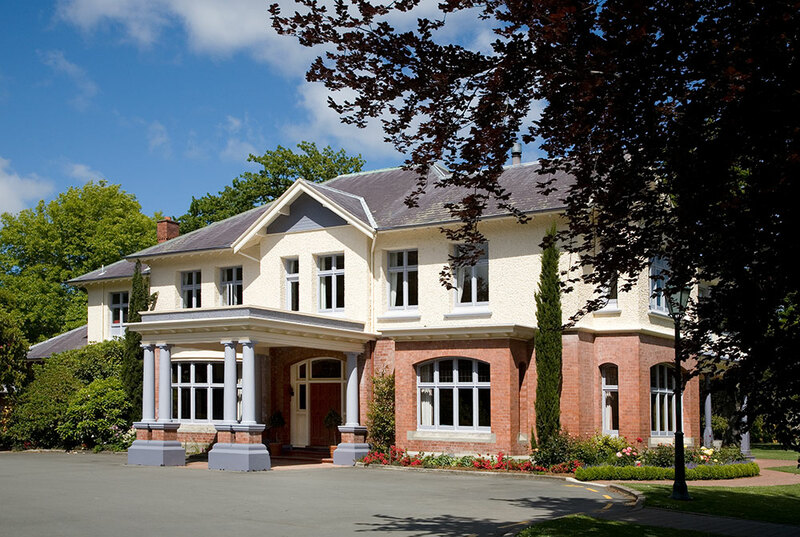 June 16: Canterbury College (University of New Zealand) foundation day. Alexander Bickerton appointed first professor (in chemistry). Teaching begins, with five part-time lecturers until founding professors arrive from England. John Macmillan Brown appointed first professor of classics, history and English literature; Charles Cook first professor of mathematics and natural philosophy. Julius Von Haast appointed professor of geology and palaeontology. Lyttelton Times, mid-1877: "At length after innumerable stoppages and delays the new buildings of Canterbury College are completed, so far as they go, and are ready for occupation." James Hay and Frederick Fitchett become first graduates. Helen Connon becomes first Canterbury College woman to graduate. Helen Connon becomes first female honours graduate in the British Empire. First student drama production (of Much Ado About Nothing). BSc and MSc courses first introduced. First annual rugby match against Otago University. First courses in engineering offered. Ernest Rutherford starts at Canterbury College. Apirana Ngata becomes first Maori scholar to complete a University degree. Ernest Rutherford awarded Nobel Prize (for chemistry). Ernest Rutherford knighted for his contribution to science. Henry Stokes Richards becomes Canterbury's first Rhodes Scholar. Opening of Helen Connon Hall, first women students' hostel, and Rolleston House, first men's hostel. Four faculties established - Arts; Science; Commerce & Law; and Mental, Moral & Social Sciences. Law and Commerce become separate faculties. Volume 1 No 1 of the student magazine Canta produced. Canterbury College becomes Canterbury University College. Library of Congress classification scheme adopted by the University Library. Arrival of philosopher Karl Popper, who lectured at Canterbury until 1945. First internal examinations, papers having previously been sent to Britain. 17 Rolleston House men fined for their part in penning 50 sheep in College quadrangle overnight and tampering with the clock tower. For the first time it was not compulsory to study a foreign language. Ngaio Marsh receives an OBE. Official announcement of intention to move to Ilam. Frederick Llewellyn appointed vice-chancellor and rector. After 1957, he dropped 'rector' from his formal title whenever he could, in effect creating the role of vice-chancellor for Canterbury. Canterbury University College becomes the University of Canterbury. The move to Ilam begins, with the School of Fine Arts transferring to Okeover. Rt. Rev. Alwyn Warren appointed chancellor. Ngaio Marsh becomes a dame. Ilam Homestead opened as the Staff Club. Opening of the James Hight Library, New Zealand's largest university building at the time. The three university halls of residence at Ilam become known collectively as University Hall. Three new halls of residence open, initially named 'North', 'South' and 'West'. The University's centennial, at which it is announced that buildings at the old town site will be given to the people of Christchurch as an arts centre. Plans for student radio station Radio U announced, to broadcast during enrolment and orientation in 1976. Jean Herbison becomes first woman chancellor of a New Zealand university. School of Fine Arts shifts from Okeover Homestead to its new buildings. New Start programme for adult students established by Department of Extension Studies. David Tan, aged 16, completes a BSc(Hons) degree in mathematics. Botany department becomes P.A.M.S. (Plant and Microbial Sciences). John Densem's musical Bicky premieres at the Court Theatre, starring the only professor ever to be sacked by Canterbury, A.W. Bickerton. Women graduates outnumber men for the first time in the University's 118 years. Two famous alumni faces appear on the new New Zealand bank notes; Sir Apirana Ngata on the $50 note and Ernest Rutherford on the $100 note. Seven-year-old Michael Tan becomes youngest New Zealander to attend university. Pro-chancellor Reverend Dr Phyllis Guthardt becomes a dame. Canterbury's oldest known student Roland Denton signs on as a member, aged 100. The feminist studies programme is given departmental status. Daryl Le Grew appointed vice-chancellor. Dame Phyllis Guthardt appointed chancellor. Fine Arts graduate Vincent Ward's film What Dreams May Come picks up an Oscar for best visual effects. College House 150th anniversary and reunion. Professor Daryl Le Grew resigned as vice-chancellor. Professor Bob Kirk appointed acting vice-chancellor. Professor Roy Sharp appointed vice-chancellor. Dr Robin Mann appointed chancellor. New structure introduced - four colleges (Arts; Business and Economics; Engineering; and Science) and a School of Law. First Performance-Based Research Fund results released. 2006 The inaugural University of Canterbury Arts Festival, Platform, was held. 2007 On 1 January the Christchurch College of Education merged with the University of Canterbury. Professor Roy Sharp resigned as vice-chancellor. Professor Ian Town appointed acting vice-chancellor. Dr Rod Carr appointed vice-chancellor.